Renna Ltd Company was born from the love for the sea. Saverio Renna, the founder, has always taken from the sea the resources to be exploited and stored in order to face the cold season. In 1976 he decided to start an hand-crafted small production of octopus in vinegar, marinated anchovies and salted anchovies to be distributed in the villages around Fasano. At the beginning of 80s, the first main office was established and, thanks to the technological advancements exploited, a new line of products in olive oil was diffused in Italy and abroad. Afterwards, Saverio Renna, always searching for new challenges, launched the refrigerated line of the “Seafood and Vegetable Specialities”, stored in sunflower oil, which got ahead all around the world. The cleverness, the innovation and the passion with which the Renna S.r.l. works, represent the driving forces of this expanding firm constantly looking for high-quality products which satisfy the tastes of the most refined and demanding customers. At the present time, Renna’s team works to bring the smells and tastes of its delicacies on the tables all over the world. The Renna Company, thanks to its long experience, has been producing its specialities for many generations, preserving scents and tastes of old recipes. 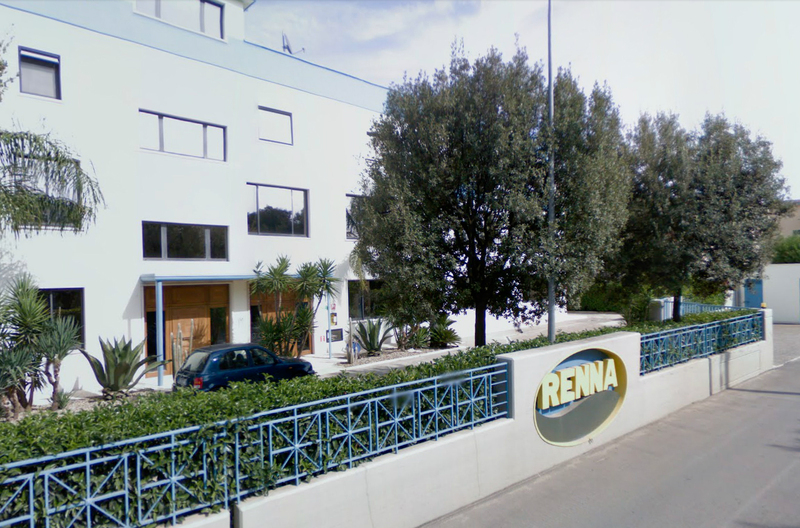 The Renna Company is a food processing firm operating for more than twenty years on domestic and foreign markets in the field of food specialities, selected and processed according to the most traditional and natural methods of the Mediterranean cuisine. The Company has a 6,000 sqm roofed-in plant equipped with the most advanced food-processing technologies. Tradition, experience, special care in the selection of the raw material and a considerable production capacity of our factory, enabled us to achieve important goals all over the world.